AT this year’s European road championships, the GB U23 men’s team had their eye on a podium spot. But it wasn’t to be, due to a huge crash on the last lap that wiped out a number of riders and left Erick Rowsell with a severely broken collarbone. Talk to any pro cyclist, and while they will obviously do anything to avoid crashing, they understand that if you want to win bike races, you have to be prepared to put your body on the line. Erick Rowsell, 22, is no different. 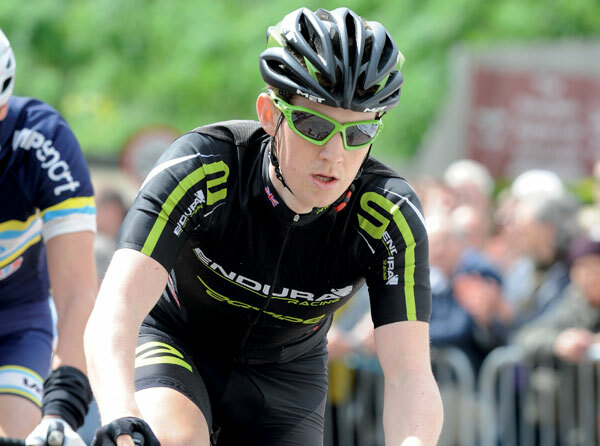 “If you’re racing your bike against others, who want to win as much as you, then there are going to be times where there is contact and you fall off,” says Rowsell, who is one of eight Endura riders to graduate to the NetApp-Endura merged team next year. With such heavy injuries, it must have been one heck of a tumble? “Well I can’t remember the crash at all. It was such a bad one that it knocked me out completely. 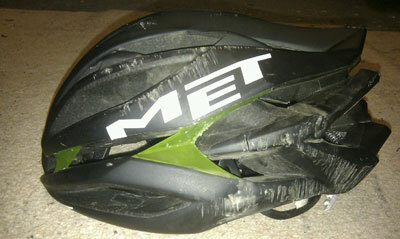 So I’ve lost all memory of the actual crash and getting to hospital afterwards. I’ve also lost my memory from before it as well. All I can remember is the start of the race, and the first two laps, but after that, I can’t remember anything at all. Apparently the crash happened within five to 10 kilometres to go. I haven’t seen the crash back but I have heard bits and pieces from some people who were in the race and they told me it was one of those crashes where you go round the corner, you all funnel in, and a few people in front of me touched wheels and came down, and I went straight into it. Broken bones and torn muscles heal. Knocks to the head can be life threatening. The biggest problem we face as cyclists when we hit our heads is that we can never be certain how severe the impact has been. Just because there is no blood present, or the fact that we might feel fine, doesn’t mean that there isn’t a serious issue. A crash and injury plays many tricks on the mind and body. One of which is the obsession to get back riding again, in the belief that every minute spent off the bike will eat into our fitness levels. While we all get twitchy about having time off our bikes it is even more critical for a pro whose career rests on their ability to train and race. “The moment I came round from my operation, when I was in the hospital bed, I started thinking how am I going to get back in time for the end of the season. It was a really awkward time of the year for it to happen. It wasn’t close enough to the end of the season for me to say, ‘OK, perhaps we’ll leave it for this year,’ but it wasn’t quite long enough for me to take a good four weeks out, train and be ready for the last part. I wanted to start racing, but I needed to be sensible and not rush anything. But it was constantly on my mind. “I was off my bike for four weeks in total. And I didn’t do anything bike related. A lot of people are able to get back on the turbo quite quickly, but I made a decision not to touch it. It was my own choice. After speaking to a few people, such as team-mates and management, they advised me to not be too concerned about any more racing this year. I could’ve really pushed it, got back on the turbo within 10 days, and tried to get back racing, but all that was left to race was a few one-day races at the end of the year, which aren’t really worth rushing for. So we thought, take it nice and slow, rest and rehab properly and come back better. “For me, I was quite methodical about my injury and rehabilitation. ‘Acceptance’ is a word that is vital when overcoming injuries, and one that Erick uses often. Failing to accept your injury, and you will struggle to overcome it. It doesn’t mean you are accepting that the injury is your fault. “By taking responsibility for your recovery process, you will find a greater sense of control and will quickly progress in recovery, rather than dwelling on the past or blaming the injury on an outside factor.” When cyclists fall foul of an injury, they often neglect the psychological impact it can have and fail to realise that it’s just as important as the physical side. What’s worse is that not many people know how to overcome the psychological battles, which can lead to frustration, anger and even depression. Below is their interpretation based on their 1997 study, Psychological Approaches to Sports Injury Rehabilitation. “Your readers must remember that resting doesn’t do you any harm at all,” explains Erick. “If you ride a bike a fair bit, and take a break, obviously you won’t come back as fit, but you are always going to have that base in you somewhere. It never fully goes. So don’t panic if you do get an injury. Making sure you come back free from it is far more important. Then you can work on your high-end fitness again. 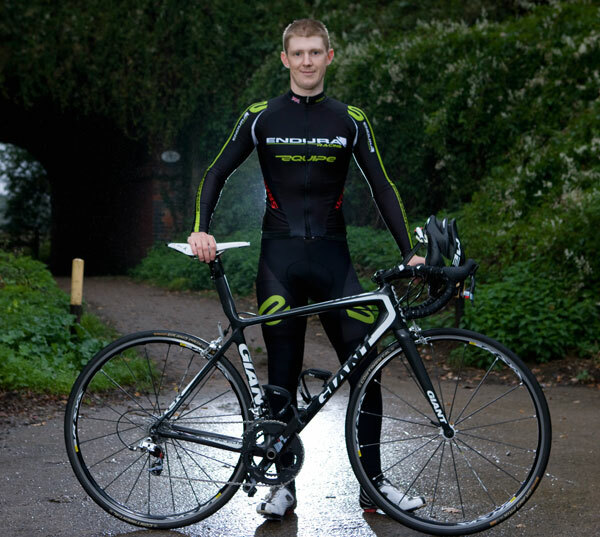 “I was off the bike for four weeks, and I was just doing a few simple exercises to try and loosen up the shoulder. Then it was a case of getting on the turbo for a few days, just to make sure I could turn my legs and hold onto the bars. My shoulder didn’t feel too bad, but my legs felt pretty awful and heavy, but that soon disappeared. Once I got through that – although it was painful – I had a go on the rollers working a bit more on balance and control while not having to worry about hitting potholes and other things. That was all done within about a week, and then I decided to go out on the road. 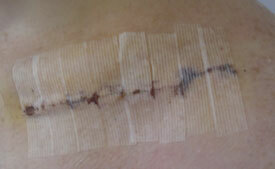 This is all with the pins in my collarbone, remember – it’s all got to stay in there for another 12 months. “One thing I did have to do was to keep an eye on my diet. When you’re riding, you’re burning off a lot of calories. As soon as you stop and if you carry on eating as you normally would, you pile on the pounds. There are two sides to it, though. One part of you thinks, well this has just happened, plus I wasn’t going to race any more this year, so I wasn’t too bothered about putting on extra weight. You need that time to enjoy yourself once you’ve had a crash and not worry about calories. At such a young age, having already been through his fair share of injuries (Erick fractured his vertebra when he was 19), and isn’t short of some advice. “The best thing to do, is to try and blank your negative feelings when back out on the road after a crash, as it could knock your confidence. But that is hard to do when you can constantly feel it. When I went back out on the road, I was definitely more cautious, being more wary around corners etc. But it soon fades away as you cycle more. “My advice I would give: you need to accept that these things happen. But you can’t let it put you off cycling. If you do injure yourself and you’re off your bike for a couple of weeks, then don’t stress out too much. You can always come back and enjoy it again. Get someone to help you who know what they’re talking about when it comes to rehab. The last thing you want is to just sit there in a sling doing absolutely nothing. And when you are able to lift your arm, you can’t even do that. “Personally, as soon as it wasn’t hurting me all the time, I got my arm out of the sling and tried to use it a bit more. Nothing stupid such as heavy lifting, but things like lifting cups, using the TV remote. I wouldn’t advise every reader to do that, but if you feel you can use it, then try. But if it hurts, then wait another week or so. Roundel – A study at the 64th annual meeting of the American Academy of Othopaedic Surgeons, examined injuries of 91 urban cyclists and 165 licensed amateur road racing cyclists. Results showed that in both groups the collarbone was the most frequently fractured bone. Collarbone (clavicle) fractures are classified according to where the break occurs. More often than not, most occur around the middle of the bone. Breaks in the arm or legs are usually fixed by surrounding them in a plaster cast in order to keep them steady. However, the clavicle is subject to all sorts of forces and the geometry is much more complex. Even if you were to encase your shoulder in plaster, it would be unlikely to hold the bone in position. So it is down to your muscles, which in fact do a good job of keeping the bone in place, and there is a good chance that a fractured clavicle will form a good union with no assistance. However, if a bone snaps and twists, or it goes out of position and overlaps, pins may be needed to pull and fix it back into position. This is called a mal or non-union. Providing it’s clean and there’s no wound, for the first week you must keep your arm in a sling. A sling will keep your shoulder complex still and help the bone to begin healing. When the clavicle breaks, your posture can be affected. A figure-eight harness needs to be worn, which wraps around the shoulder and is tightened between the shoulder blades. This will help maintain posture and position the arm at a better angle – wearing this can vary, depending on the extent of your injury. The next step is to rest, and avoid putting excessive pressure on the arm – turbo riding is possible, providing you refrain from putting pressure on the bars. A full range of motion will return between six and 12 weeks after the day of injury. However, the bone won’t fully heal for a further year, but this isn’t noticeable after a couple of months.